​Moab captivates anyone lucky to experience its beauty and grandeur. The immense desert landscape stirs up images of rugged valleys, sunrises over massive red rock formations, the cool waters of the Colorado River and exhilarating outdoor recreation. Located in the heart of downtown Moab, the Moab Valley Inn is the perfect base camp for your desert adventure. Get even more out of your Moab experience by taking advantage of our exclusive hotel deals and vacation packages. 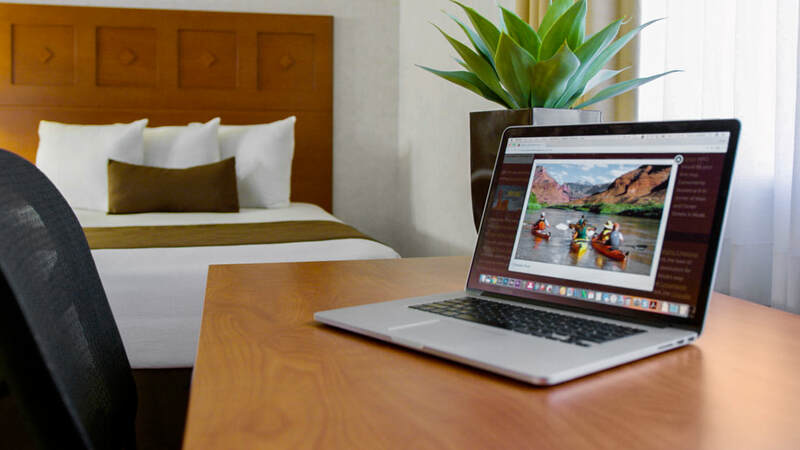 ​Enjoy a discount, per night, per room, when you book your room or suite directly through our website.